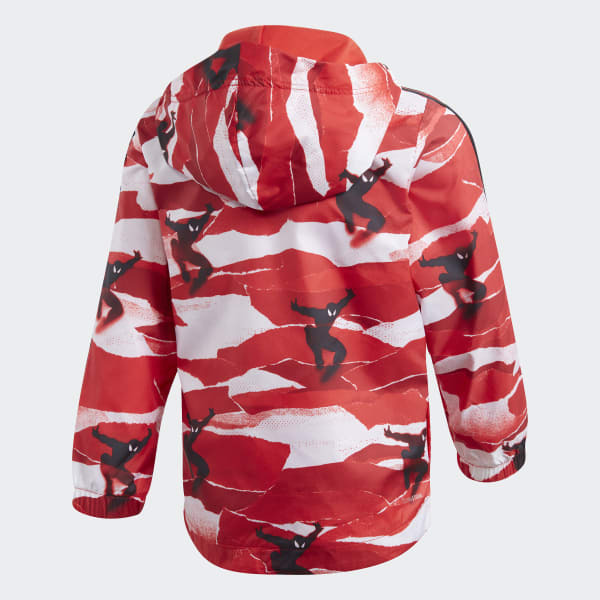 A weather-resistant windbreaker for young Spider-Man fans. 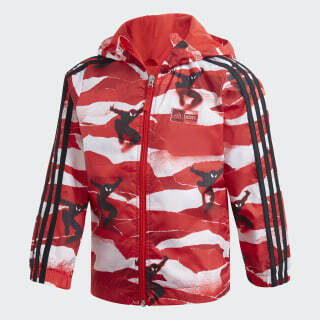 Protect your young superhero from the elements in this boys' hooded windbreaker. It provides a breathable barrier against wet, windy weather. The full-zip jacket packs into its own pocket for easy carrying. Finished with allover Spider-Man artwork.